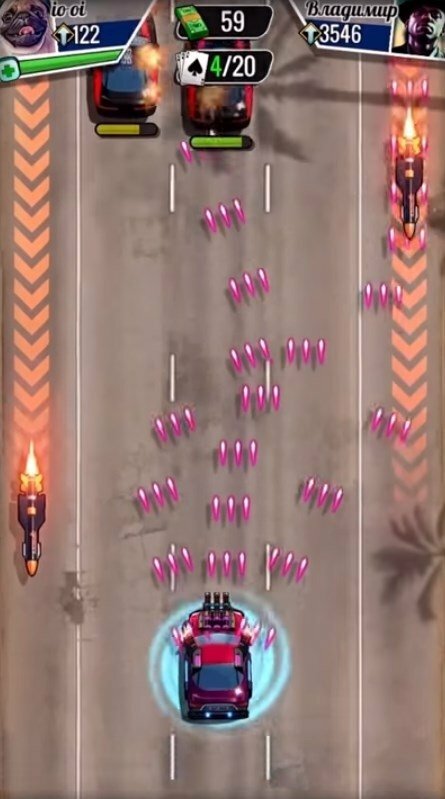 If you were into all those spacecraft games that became popular on arcade machines and in which we had to advance killing enemies and destroying everything in our way from a top-down view, you're going to love Fastlane: Road to Revenge. Because despite being a car game, it's exactly the same. 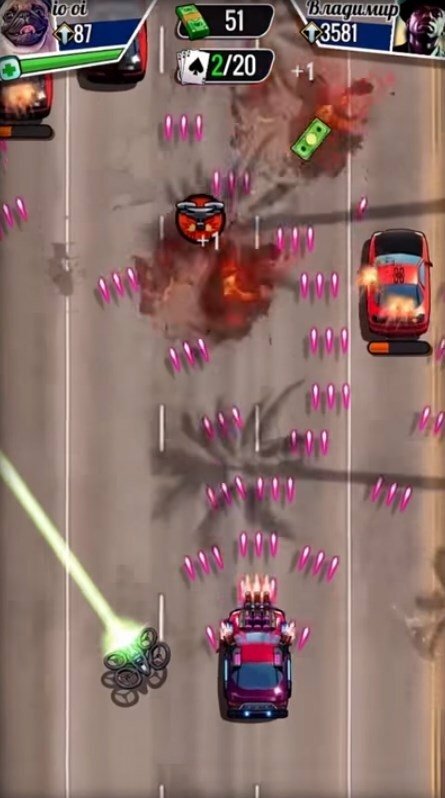 The game's plot places you in the middle of a gang war to prove who are the hardest guys on the highway but there you are, with your car that you can customize and equip with all sorts of weapons, to destroy anything you come across. 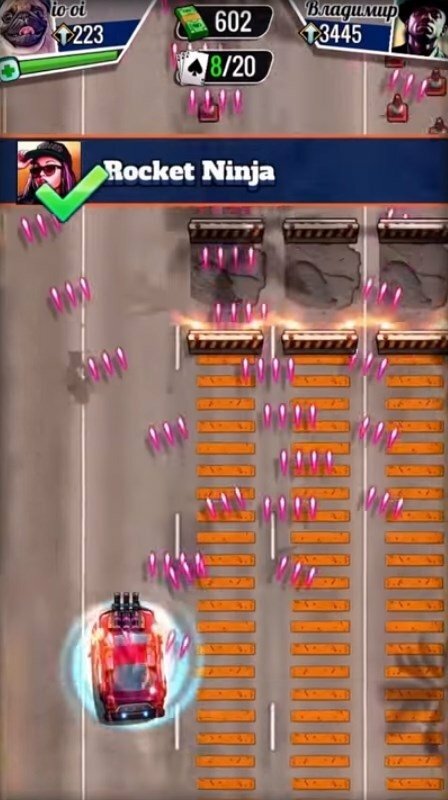 You'll have to drive through heavy traffic mainly made up of enemies that shoot at you and that can crash into you. You can make use of a protective shield for crashes into other cars but that won't be able to help you if you ram your vehicle into walls or signs, so you had better be careful. 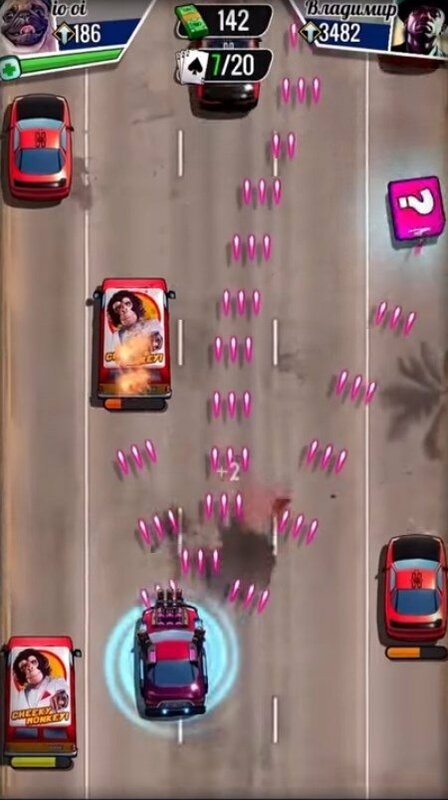 Sharpen your aim and reflexes because each car, van or truck you destroy will reward you with money with which you can improve your vehicle and make it more lethal. An excellent arcade game for iPhone and iPad that won't leave you cold. 20 cars to be unlocked and improved. Transform your cars into other vehicles such as helicopters whenever necessary. Dozens of gadgets, devices, and other equipment. Play online against other gamers to defeat them and steal their bonus points. Compete in 30 leagues of progressive difficulty. Different environments and lethal obstacles. 11 different bosses to fight against. Soundtrack with an in-game radio station. 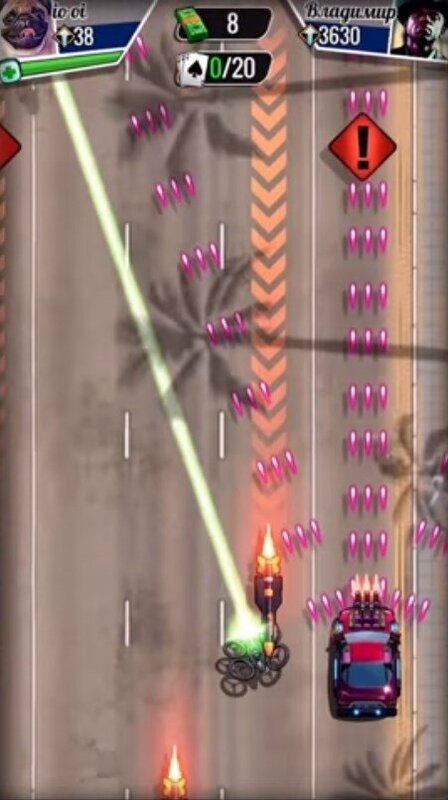 All in all, we're talking about a decent shooter disguised as a racing game that you have to download if you want to try out a crossover between GTA and a spacecraft title.